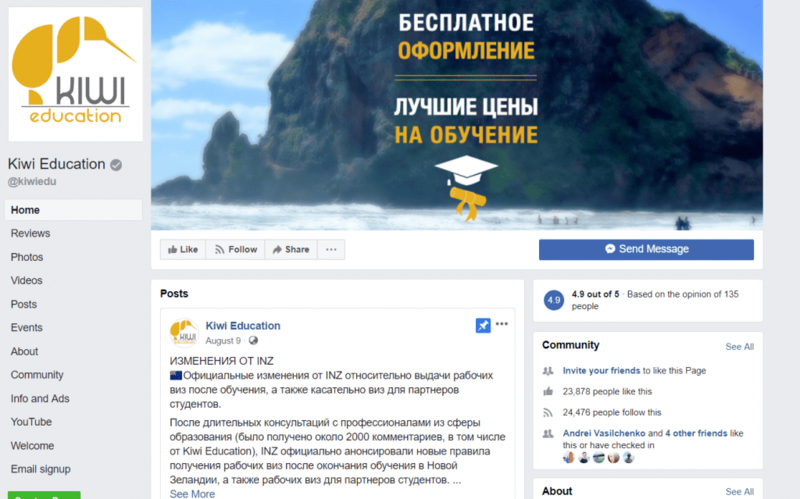 Kiwi Education - is one of our big projects, which has been launched from a scratch in 2013 and became a well-known brand of one of the leading companies on the market. They felt there was a gap in the market of education consulting within international students. 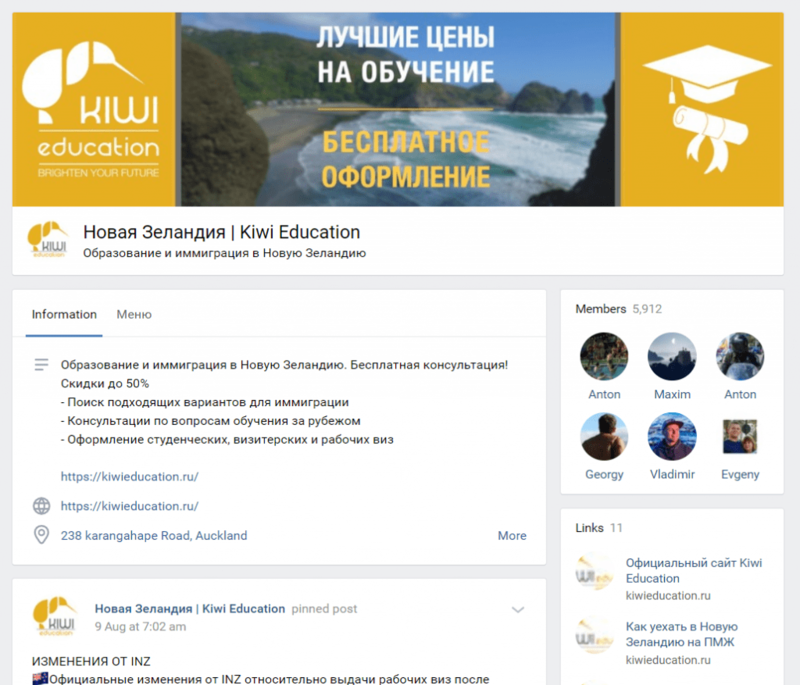 Started from the Russian market in 2013, they managed to grow to the biggest player within this market with 50% of it, and one of the biggest consulting centres for international students in New Zealand overall. Over the last five years we designed and developed three websites, each of them was an update and improvement of previous one. Currently we found the perfect website, which contains tons of useful information for their potential clients. As part of the job, we have been working on the content ourselves too. In addition, we developed our own custom made CRM system linked to the website, which helps to keep high quality customer service. 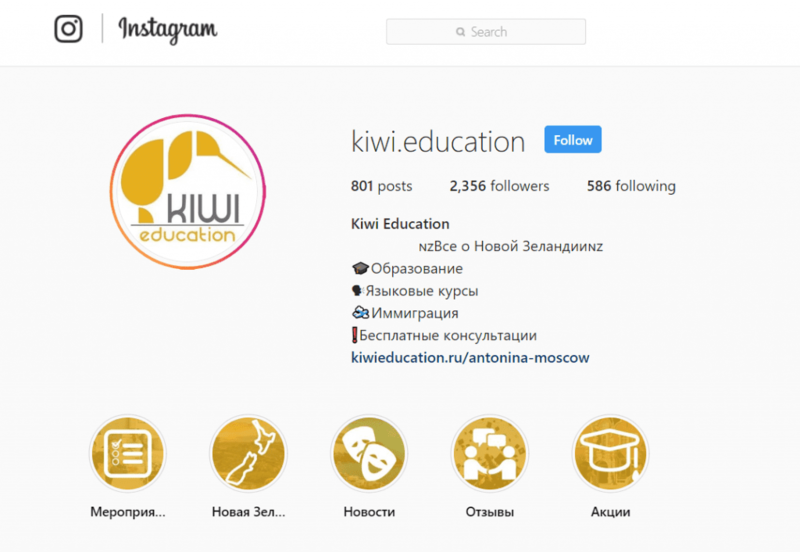 Social networks were the main source of leads for Kiwi Education in the very beginning. Proper pages with brand identity and content helped to achieve very good results within a short period of time. Targeting and well thought through promotions and boosts brought them many loyal clients. Quality content and SEO work improved presence and now they are always in Top 5 results of all Search Engines within the main Keywords. Due to well organised budgeting and setting of paid Internet campaigns, they have been generating income all the time. Proper boosting with paid promotion always pays off if it is targeted perfectly. As a next stage of marketing plan we started to produce videos about New Zealand for their market. 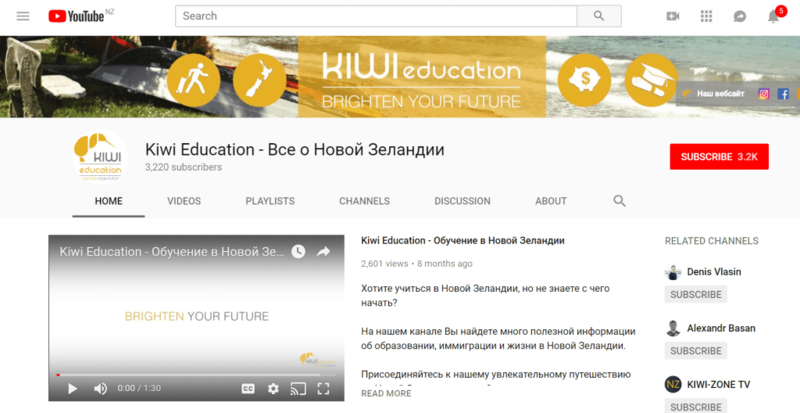 Within a year we helped to achieve more than 20,000 subscribers and more than 1 million views of their branded and well-known content. We’re constantly working on this project and are exploring other markets. Due to well developed system of work, trusted brand and our professional attitude it goes much faster now with the better efficiency.